$900/4 hrs 10'Wx28'L Includes our operator for 4 hours. It’s 24 feet high and looks like realistic rock. It’s a serious challenge for all ages. But because of the hydraulic belay system, it’s perfectly safe. This is truly an amazing attraction, very popular with college and youth groups. Rather than an inflatable attraction, it provides your participants with a solid surface with hand and foot holds to provide security. 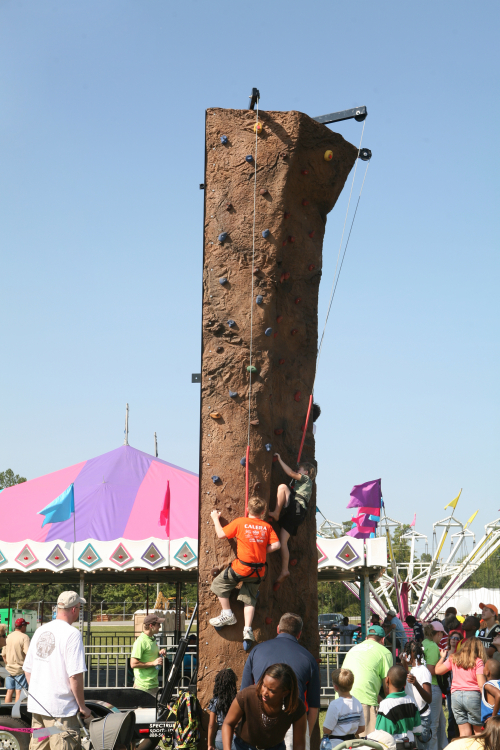 Up to four participants at a time can climb. Please note: the attached trailer is behind the wall.